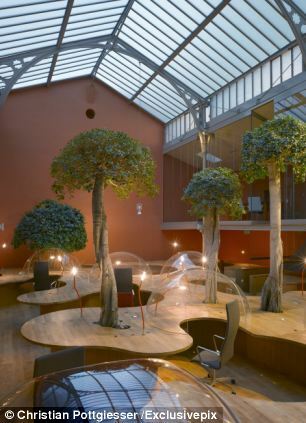 The French-designed bubble desk has just taken off in Paris and protects the worker under a plexiglas dome, cutting them off from the rest of their colleagues. 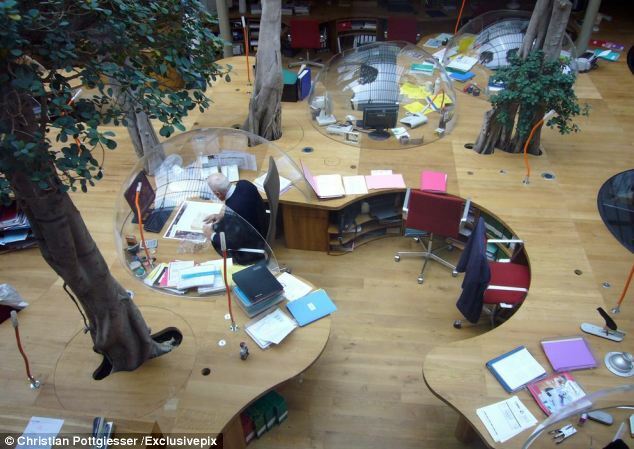 It comes as part of a complete office design that includes a giant communal desk, eight Ficus Panda Trees, a cloakroom and a kitchen. 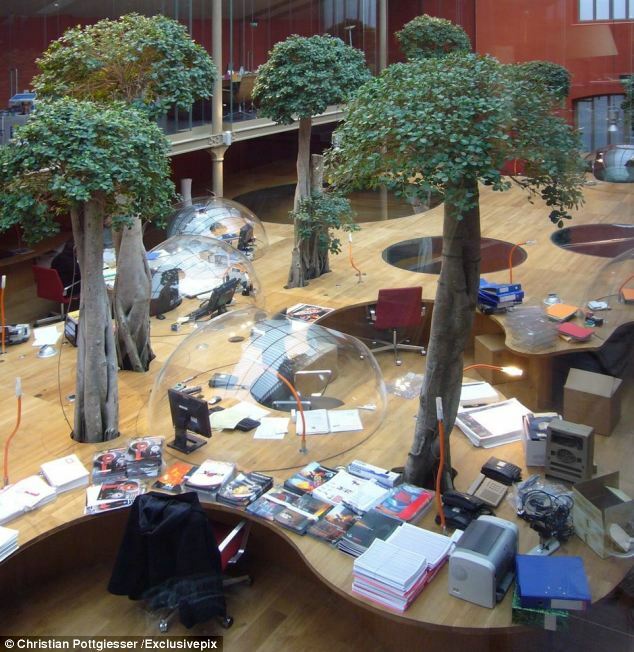 The bubble desk idea originated in France by Christian Pottgiesser and has been taken up by two Parisian officesThe thinking behind the bubble desk is that offers the worker privacy while still being connected to a large, communal desk.It is a modern take on partitioned office space popular in the 1980s and which offered privacy but no visibility or sense of connection to colleagues.The trees are designed to compensate for the lack of scenery and are rooted into beds of soil buried out of sight. 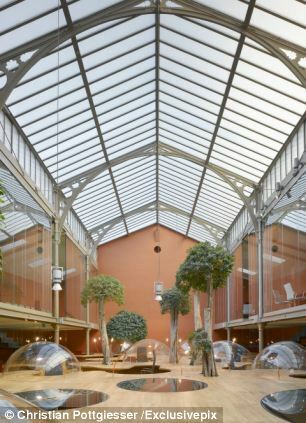 So far two French companies, Pons and Huot have taken on the office design by Pottgiesser. 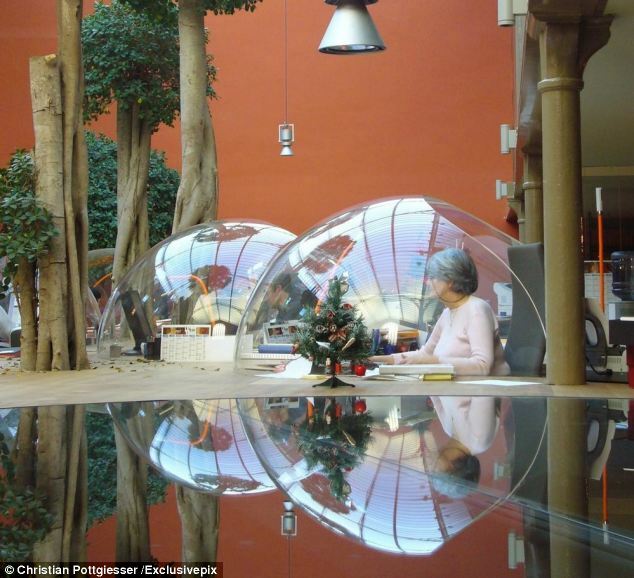 Steve Bays from Century Office, an office design and supply company based in Essex, said: ‘I can see the benefit of the bubble desk in large public areas such as libraries where people want to shut themselves away and read or something, but I’m not sure it would work in an office. People like to talk, to consult with each other. You don’t want to have to go and knock on your colleague’s cocoon to talk with them.